My Design 2 class which is one semester in length, is divided into two units. The dominant unit is Architecture which runs approximately 10 weeks and the sub dominant unit is Interior Design, which is about 3 weeks. Within the Interior Design unit we discuss architectural history, sustainable design, interior plan/flow, use of space, client’s needs and ethical issues of needs vs wants. We discuss floor plans and critique the use of the space, pointing out that bigger doesn’t mean better most of the time. An overview of the history of furniture design is completed and then a collage timeline of the history of furniture. 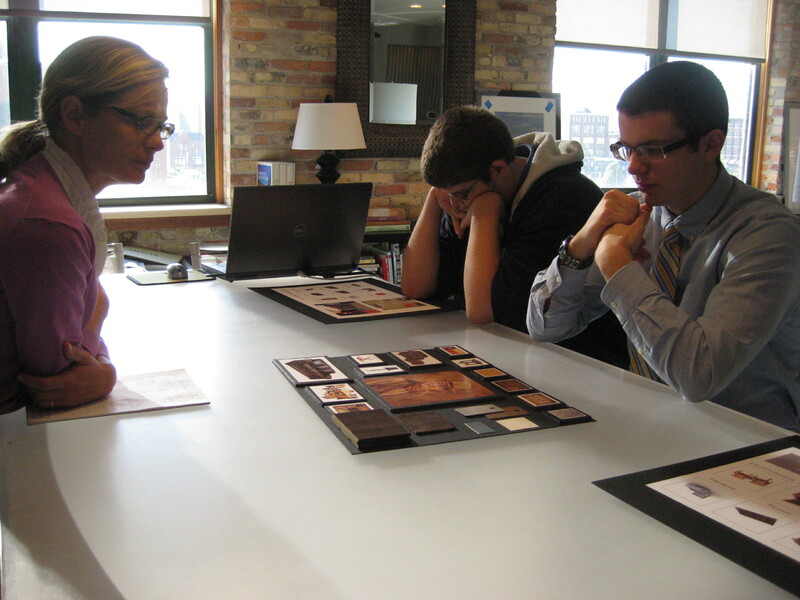 Students also complete a color board ranging from cool/antique to warm/contemporary and then in reverse. This is a great way for them to have a good review of furniture styles, the color wheel and an understanding that eclectic furnishing can work well together. Over the years we have moved from hand drawing plans to 3-D Home Architect and are currently using Google Sketchup! for interior views. Over the years we have had various projects including converting an empty loft space downtown into a “thriving” live/work studio or business -measuring out its dimensions, electrical outlets and facilities. Almost all interior design firms I have asked have generously given my classroom samples of wall paper, tiles, flooring etc, and I have received a lot of swatches from Home Depot. To change the project to be more community service oriented I have envisioned working with the Mel Trotter Mission or St. John’s Home and developing a sample board for them of a bedroom we would actually renovate. 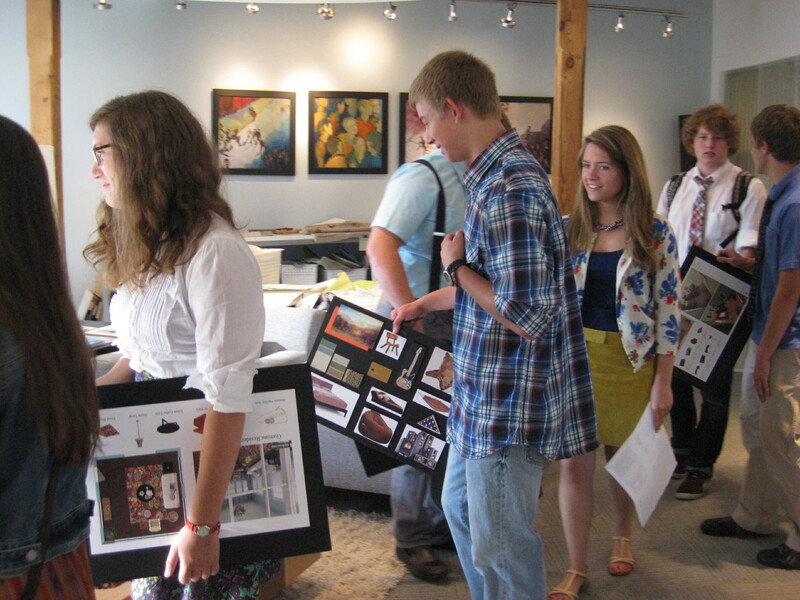 Students at NorthPointe Christian High School had the real-world experience of presenting their finished design boards to interior designers at VIA DESIGN in Grand Rapids, MI. Via Design designers, Emily and Ann, gave feedback and hosted a tour for my students.